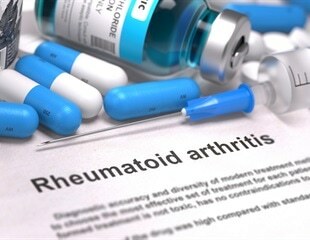 Autoimmune diseases, such as systemic lupus erythematosus or rheumatoid arthritis, are difficult to diagnose, specially in early stages. Specifically, in the case of lupus, specific antibodies aimed at antigens located in the nucleus of cells appear, including the anti-Ro/SSA. A University of Oklahoma researcher, Si Wu, and collaborators from the Oklahoma Medical Research Foundation and Indiana University, are developing new strategies leading to diagnosis and early intervention of Lupus, an autoimmune disease that may affect up to 1.5 million Americans. Critical Path Institute (C-Path) announced today that its Type 1 Diabetes (T1D) Consortium has received a positive response to its Letter of Intent (LOI) from the U.S. Food and Drug Administration (FDA) detailing the FDA's decision to accept the consortium's Biomarker Initiative project into the Center for Drug Evaluation and Research (CDER) Biomarker Qualification Program (BQP). Systemic sclerosis (SSc, also known as scleroderma), a connective tissue disorder of autoimmune etiology, is characterized by excessive fibrosis in the skin and various internal organs. The chronic inflammatory disease systemic lupus erythematosus, is about nine times more common in women than men, and a University of Houston researcher now has the money to find out why. West Australian researchers from Edith Cowan University have managed to develop a blood test that is capable of diagnosing melanomas before they can spread to other parts of the body. The study titled, “A diagnostic autoantibody signature for primary cutaneous melanoma,” was published in the latest issue of the journal Oncotarget. Researchers at the UC Davis MIND Institute have created a mouse model for maternal antibody- related (MAR) autism spectrum disorder that closely mimics the physiology and behaviors seen in people with this form of ASD. This article outlines a recent study which identified six novel gene regions in children who are at risk of type 1 diabetes. It does not matter if you raise them the same, feed them the same, or dress them the same, any parent with identical twins knows their two children are remarkably different. Identical twins are identical in genes, but they are not identical in gene expressions, a difference due to epigenetics.